-- (Historical romance) One wild, winter's night two worlds collide. With Hope as bait, the Captain sets a trap to catch the rest of the gang. But in a battle of wills, with his reputation at stake, George Huntley starts to respect feisty, independent Hope. 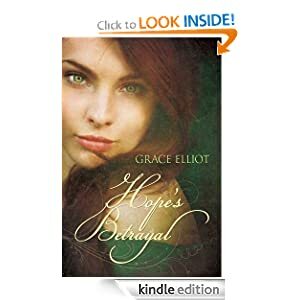 Challenged by her sea-green eyes and stubborn loyalty Huntley now faces a new threat - his growing attraction to a sworn enemy. But a love where either Hope betrays her own kind, or Captain Huntley is court-marshaled, is not an easy destiny to follow.